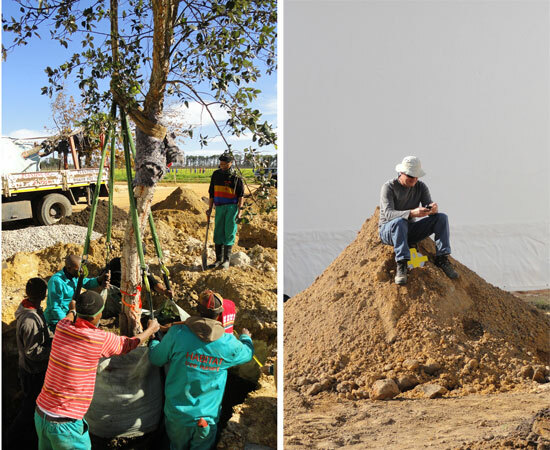 This week, we’ve been planting trees at our wine cellar, with four Turkish oaks (Quercus cerris) planted along the driveways leading to the cellar, and near the site of our future distillery, we’re planting a small forest of Cork Oaks (Quercus suber). 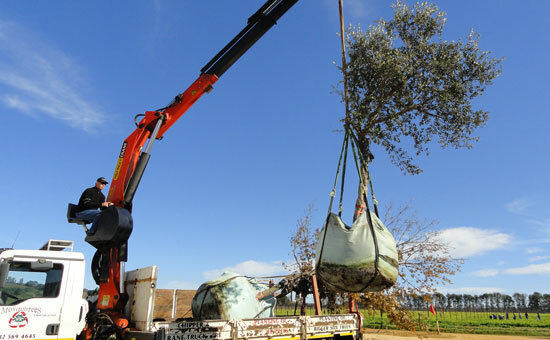 The Turkish Oaks are fast-growing and will be wonderful shade trees, while the slow-growing Cork Oaks are to remind our visitors of where a wine cork comes from. 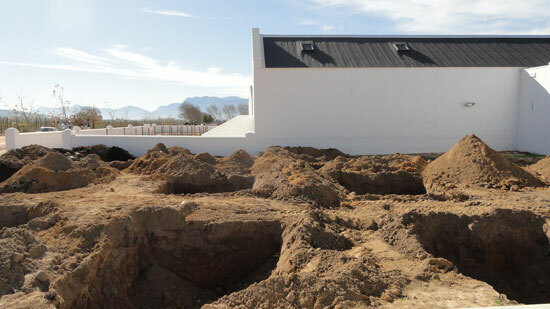 The holes are dug outside the cellar, waiting for the trees. These trees are quite large, and had to be winched into place. A well-deserved break after some back-breaking labour. 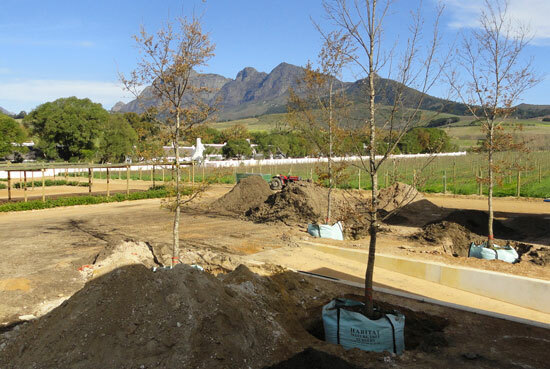 The freshly-planted Turkish Oaks (Quercus cerris) along the cellar driveway. 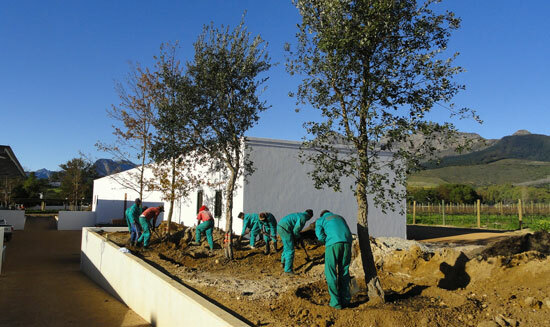 A good day’s tree planting work is done!